While tablets such as the iPad might be all the rage, netbooks are still fairly popular gadgets. 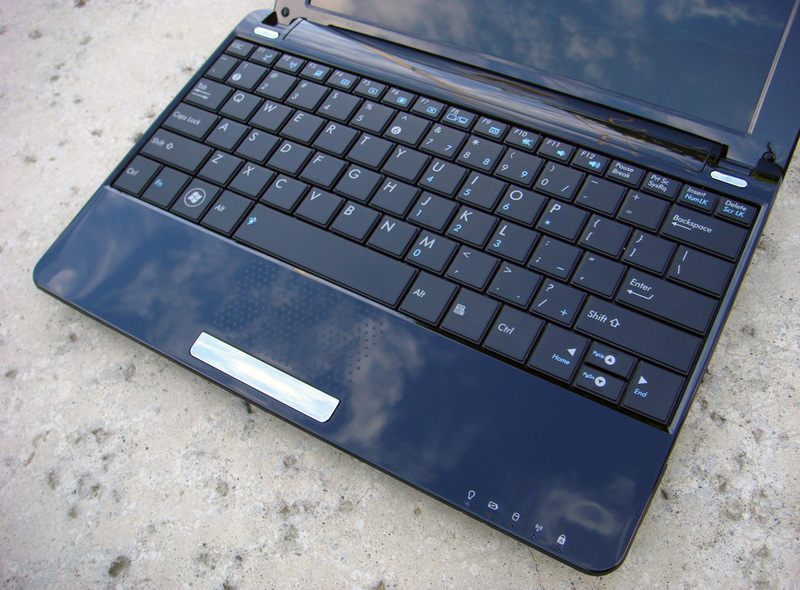 Although often limited in screen size and by performance, netbooks offer most functionality found on a fully-fledged laptop. I bought the ASUS 1005HA earlier this year and I thought I’d share some thoughts. I choose this netbook since the simple design caught my attention. 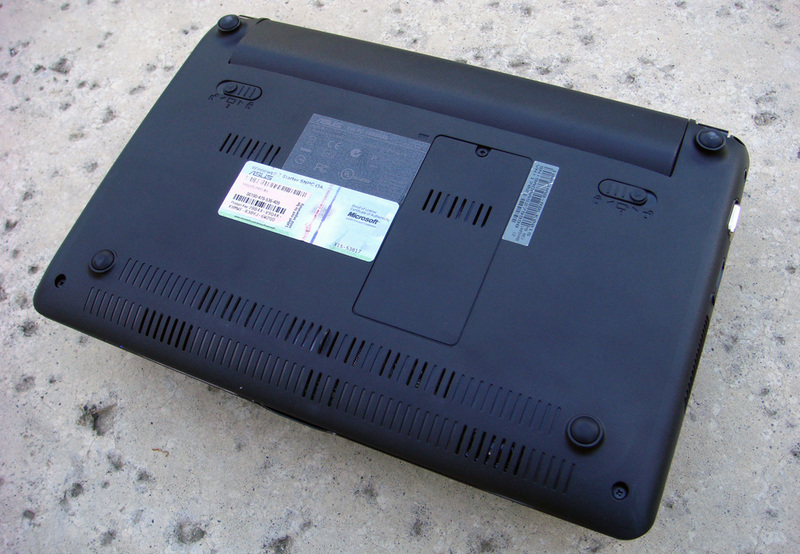 Unlike glossy netbooks such as the Dell Mini 10, the ASUS 1005 features a soft black matte finish. The entire unit has rounded edges, making it comfortable to handle. The inside unfortunately has a glossy coat which attracts plenty of fingerprints and grime. Although easy to clean with a damp cloth, it was rather annoying. The hinge mechanism between the lower portion and display was fairly durable. The silver Eee branding, power button, and mouse key offer some contrast amongst an almost entirely black body. Aside from the glossy internals, the ASUS 1005 offers an excellent design. It looks and feels better than most netbooks I’ve come across. 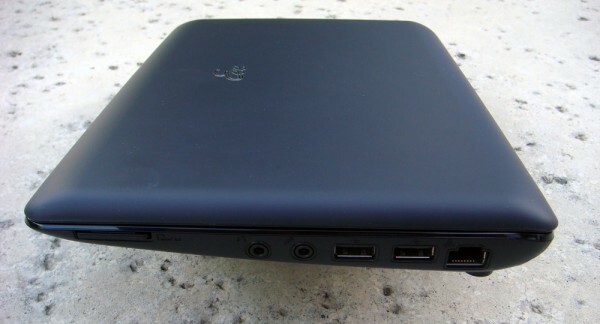 With limited space, it’s often hard for netbook makers find the right places for ports. This often results in cramped designs and oddly placed features. Fortunately, the configuration on the 1005HA netbook was just right. There is a VGA and power connectors on the left side while the right side features an Ethernet port, headphone/microphone jacks, and a 3-in-1 card reader. ASUS threw two USB ports on the on the right side leaving a single port on the left. There’s enough room to have cables, flash drives, and accessories plugged into most items. While this Eee does weigh a little bit more than some other netbooks, such as the Ideapad S10-2 , you quickly cease to notice this extra weight. The bulk of the weight stems from the actual netbook, not the battery. Then again, my unit only came with a 3-cell battery while ASUS also offers 6-cell and 9-cell options. While the latter batteries bulge out from the streamlined design, the 3-cell model fits easily into a sleeve, briefcase, or backpack. Although people often don’t pay attention to a keyboard and mouse when picking a laptop, it’s an important aspect. If it’s too small, cramped, or features an odd layout, productivity can quickly diminish. Those issues are especially common on netbooks due to their small size. The Dell Mini 9, for instance, was entirely missing a F1-F10 key row. Fortunately, the keyboard on this ASUS netbook was fairly well designed. The keys run nearly to the ends of chassis for maximizing available space. Keys are well spaced out and offer impressively good tactile feedback. My only issue was with the condensed UP and DOWN arrow keys, which are merged into the size of a single element. The trackpad also had some interesting features. Like the Apple MacBook lineup, this netbook also features multi-touch capabilities. While not nearly as responsive, it offers pinch to zoom and two finger scrolling for faster navigation. The trackpad also has a “bumpy grade” for distinguishing it from the rest of the palm rest. However there was one major downside: ASUS combined the left and right click buttons into a single item. While pressing the far left and far right sides offer the expected results, it isn’t as quick to use. While most netbooks I’ve used have a 1024 by 600 display resolution, the ASUS 1005HA offers 1024 by 768 pixels, which is a decent count for a 10.1 inch screen. While glossy screens look fancy, reading under bright lights or out doors is very difficult on this netbook. It also makes it easier to see fingerprints and dust. I also found that the screen on this Eee laptop tends to trap dust between the display and surrounding bezel. Featuring an edge-to-edge display could have solved this problem entirely. Colors, brightness, and viewing angles aren’t particularly astonishing, but they get the job done. Although I didn’t buy a netbook expecting impressive audio quality, the integrated stereo speakers weren’t exactly the greatest. For starters, the speakers are on the bottom of the device almost always producing a muffled effect. While placing it on a flat desk helps, there’s a hint of echoing. I should also note that these didn’t get loud enough for most situations either. While it isn’t a problem in a completely quite room, I found that some smartphones were even louder. Bumping the volume to the max began causing some static as well. Fortunately, plugging a decent pair of headphones into the 3.5 mm jack solves the problem. While the Lenovo S10-2 only features a 0.3 megapixel camera, the Eee 1005HA sports a 1.3 megapixel sensor. While it isn’t the best looking, quality was decent enough for making otu objects and faces with video chatting software like Skype. The internal microphone also makes it possible to have conversations without additional accessories. People on the other end said they could hear me fairly clearly without any odd sounds. While the internals get the job done, purchasing a dedicated USB webcam and USB microphone can easily help improve quality. Due to recent hardware restrictions imposed by Microsoft, most new netbooks come with Windows 7 Starter Edition. For those who like getting the most out of their netbook, the OS is heavily limiting. For instance, users can no longer change the default background, color scheme, or sound settings. Simply downgrading to XP offers more features in certain instances. Support for multi-monitors, DVD playback, Windows Media Center, and Aero transparency are all missing as well. If you do end up with this netbook, I would highly recommend upgrading to Windows 7 Home Edition or Professional. Although the operating system is somewhat limiting, getting things done on this netbook is quite easy. I was able to run a web browser, word processor, and chat program without any issues. However, performing intensive tasks such as playing a large video file or flash content in a browser often causes the sluggish performance. I was also especially frustrated to find streaming content from Hulu or YouTube was far from smooth. Content will continuously buffer, pause, and jitter, making the entire experience horrible. While the Intel N270 Atom processor isn’t a problem, newer 2010 versions offer better performance and improved battery savings. The biggest easy upgrade for this laptop would be adding an extra 1GB of RAM, bringing the total to 2GB. Although the advertised battery life is 4 hours and 18 minutes, the 3-cell battery rarely lasted as long. I was often out of power within 3 hours and 30 minutes. For those wondering, I wasn’t doing anything processor intensive aside from typing a document and browsing the web. I also had the brightness down to about half, but left the WiFi on at all times. Opting for the 6 cell battery might be a wise choice, but keep in mind that the size might be obtrusive. I should note that tablets and newer netbooks offer nearly 10 hours of batter life. 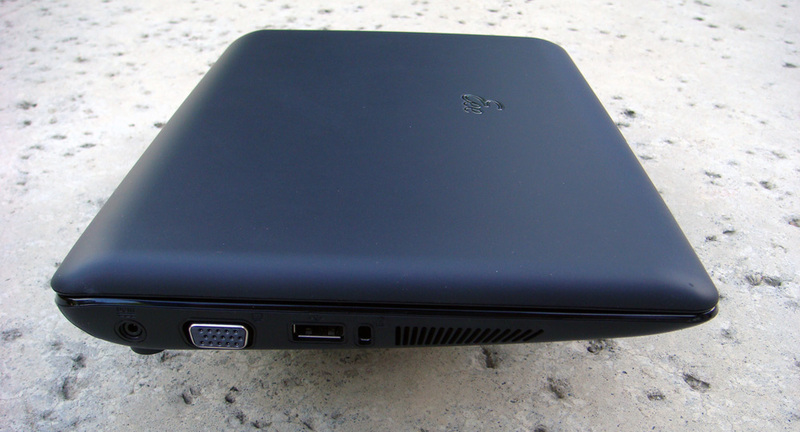 While this netbook can’t replace a full laptop in terms of power and functionality, it offers portability. I find my self carrying a computer with me at all times simply because it is so small. I wouldn’t have done the same with a 15 inch laptop. Also, there’s less concern to worry about losing or damage since it isn’t too expensive. Amazon sells it for $250-300. 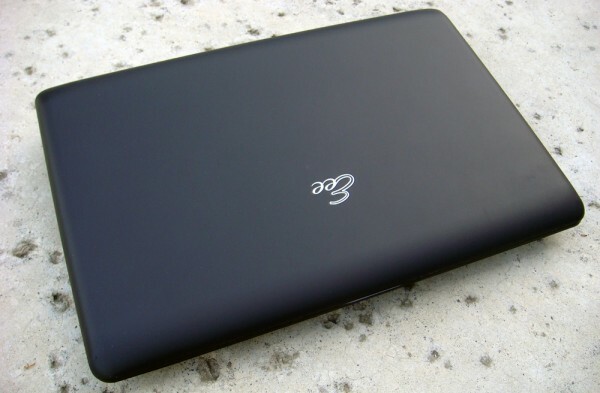 With a decent keyboard, a web cam, multi-card reader, and much more, the ASUS Eee PC 1005HA should have most bases covered for the average person. 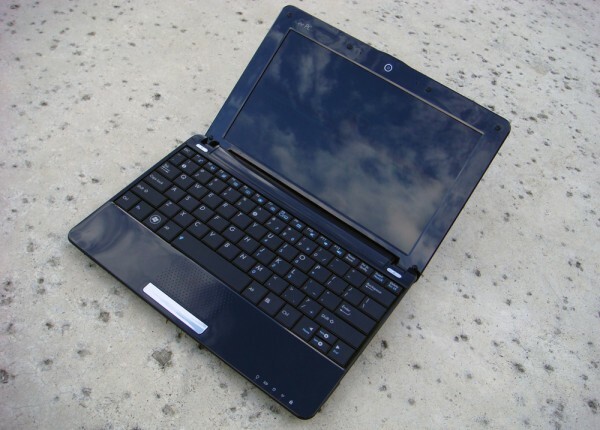 Whether it’s for taking notes in class or checking emails on a business trip, this netbook offers a great experience. For those looking for a netbook with better battery life and faster performance, checkout the ASUS Seashell lineup. Editor’s Note: This article was written by Akshay Aanabathula and edited by Sahas Katta. I have this computer too and Windows 7 feels very sluggish. I have upgraded to Windows 7 Premium from Starter. I must say the bottle neck feels more graphic related then the Atom chipset. If I go into Appearance settings and adjust Windows for performance rather then let Windows adjust. The Netbook becomes much better but its UI looks like Windows 3.1. I am not willing to go back to a old OS like XP but I don’t want Win7 looking like a old OS either. I have come to the conclusion that a Netbook is simply what its is. A computer with the wrong OS on it. Linux may be a option but it eliminates some Windows only programs I use. I don’t know what your problem is, I have upgraded to Win 7 Pro and upgraded memory to 2 gig. No problems. I bought mine for airplane travel. My biggest complaint is the maximum volume is too low to overcome background noise on an airplane.